Domestic workers are being recognised for the fundamental role they play in the labour arena in the lives of South Africans. In April 2003 they were included into the pool for UIF. They can now claim unemployment, illness and death benefits from the unemployment insurance fund (UIF). In December each year the Department of Labour publishes new minimum pay rates for Domestic Workers. SA has seen some important changes to legislation since 2003 regarding Domestic Workers entitlements and rights. Pay Solutions offer Payroll Services that will keep track of Domestic Workers salaries, leave pay, leave and sick leave days that Domestic Workers are entitled to. Some useful information you should know when employing domestic workers. Does your Domestic Workers have a Contract? 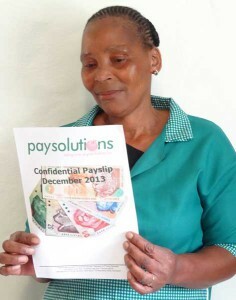 Pay Solutions can assist by creating a payroll for your Domestic Worker. This will ensure that they receive a detailed payslip as per the recommendations from The Department of Labour. Thus ensuring you are complying with all legalities. Is your Domestic Worker Entitled to Leave? A Domestic Worker is entitled to one days leave for every 17 days worked. Therefore Domestic Workers working 1 day a week are entitled to 3 days annual leave per annum. Similarly a Domestic Worker is entitled to 1 day sick leave for every 26 days worked i.e. two days per annum. Listed below are the latest minimum wages from the Department of Labour. 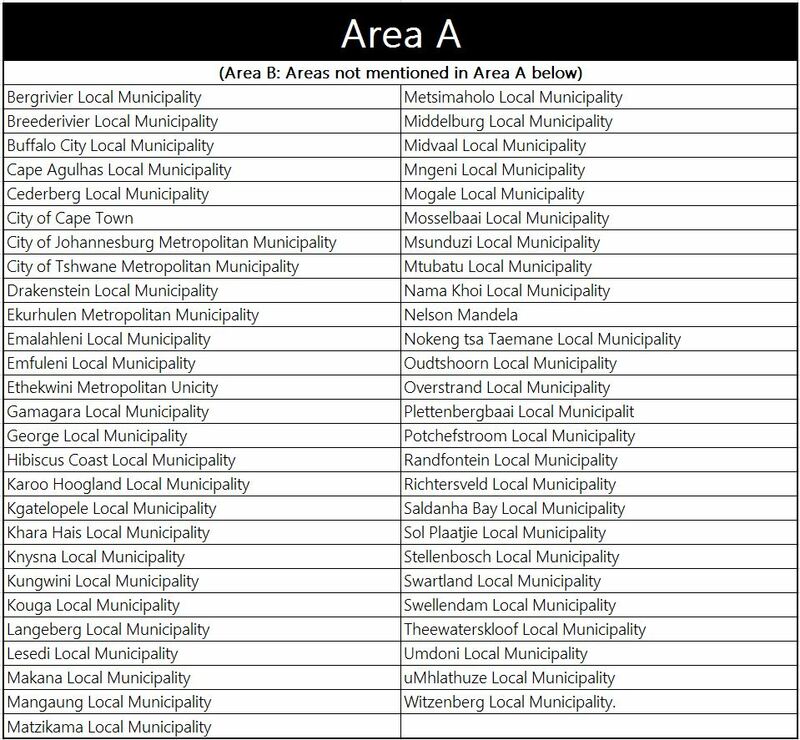 These are applicable from 1 December 2015 through to 30 November 2016. These rates are applicable for Domestic Workers who work more than 27 hours per week. The following rates are applicable for Domestic Workers who work more than 27 hours per week. The following rates are applicable for Domestic Workers who work less than 27 hours per week. and also work more than 8 hours a day for a 6 day work week. Overtime must be paid at one and a half times the employees normal hourly rate for extra hours worked. Alternatively an employee may agree to receive paid time off. The above rates however does not prevent an employer from paying a higher rate. They are only a guide to protect Domestic Workers from being exploited. 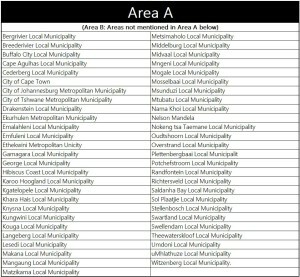 Below is a table for Area A, all other areas not included in Area A, fall under Area B.